Fall Steam Sale – 33% off! Update v3.3 is now live! Happy Thanksgiving! 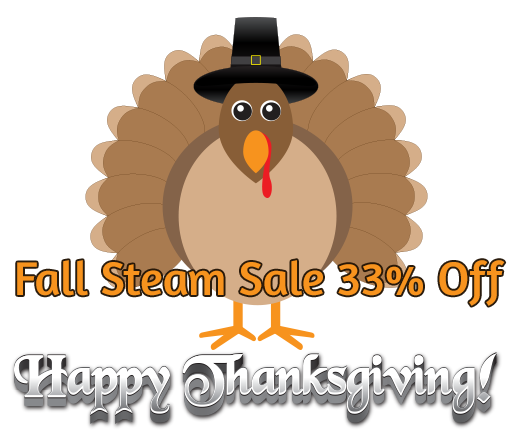 For Update v3.3, Tabletop Simulator is 33% off in the Steam Fall Sale until Dec 2 at 10am PST! The double 3’s must be a sign! Wednesday isn’t usually our update day, but we decided to get one out for you early before the Thanksgiving weekend began, so enjoy! This update focuses on a rebuilt save format, making it much easier overall and giving users more control over them. This also means that you can now properly save custom decks to your chest! Remember to check out our Wiki for additional help. If you are registered on our forums, you are welcome to add anything related to Tabletop Simulator to help your fellow community members. 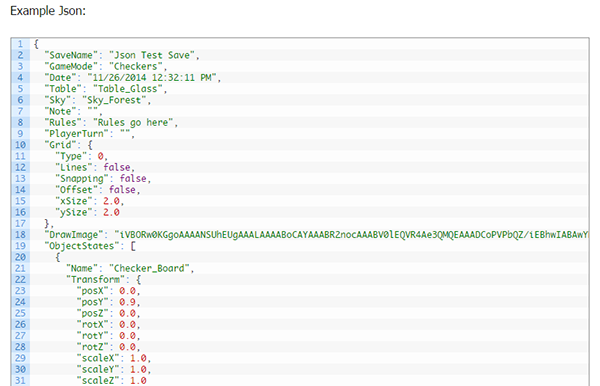 New Json save format, a human readable format that will allow more control over objects. Optimized the save code to avoid any stutter when saving. Json is very expandable without having to worry about breaking old version save files. Old saves will still work just fine, all new saves will be Json. Json will allow modders to create save generators with external tools. Modify the scaling of an object in each axis independently in the save file. Can now modify the physics properties of object by modifying the Json save files. There are two classes – the Rigidbody (mass, drag, etc) and physics material (friction, bounciness, etc). You can read up on how to modify these properties on our Wiki page. Overall stability improvements for loading and saving custom decks. One broken download for cards will not mess up the rest of the cards downloaded. You can see the progress of custom cards because they will visually update during the download. Merged decks saved to the chest will now properly load. You can now load decks from a save file using the expand arrow (some older saves will not work). Custom Decks now cleanup on RAM much better when they are deleted individually. 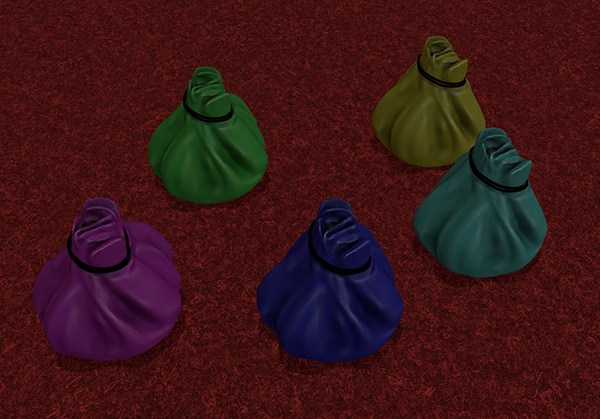 Color tinting bags is now working, this should help organize your saves. Improved the spawn position when pulling a card from a deck of cards. Grid settings now reset when the table resets. Better URL cleanup for custom content with automatic url whitespace trimming, might help with RAM usage in certain scenarios. Empty server names will now default to “?”. Improved object network syncing, when FPS is low and ping is high. Reduced other players pointer smoothing, so the positions are more accurate. Download status being wrong when loading directly from one save to another. Fixed flip table bug not allowing the table to respawn or load another game. Fixed floating deck bug when loading locked decks. Fixed notification arrow sound distance. Cards taken from a deck now inherit the deck’s grid setting.